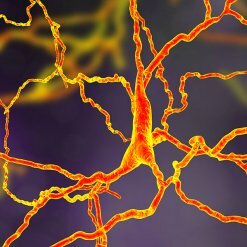 Huntington’s disease, or HD, is a genetic disorder that causes the progressive breakdown of nerve cells in your brain. Symptoms include involuntary jerking of writhing movements, muscle rigidity or contracture, and slow or abnormal eye movements. Over time, it affects the individual’s ability to reason, walk and speak. Well under 1% of people get HD.